Bare Rose is having another Treasure Hunt and it is another wonderful story again with a full set of outfit for all sizes and sexes. Plus of course there is a bonus item. 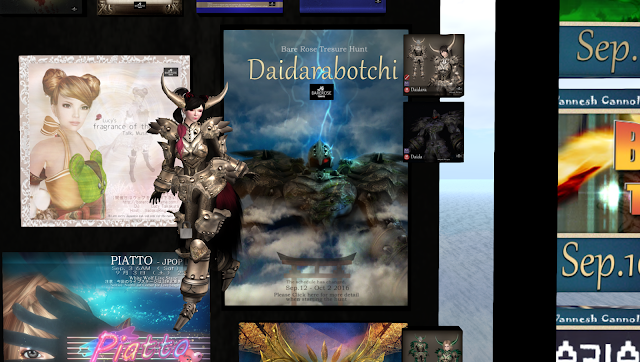 It is an additional Daidarabotchi Avatar! Start your hunt today as this will only run till 2 Oct and there is only 4 Chapters and a Bonus to find. This should be easy and fun for everyone!